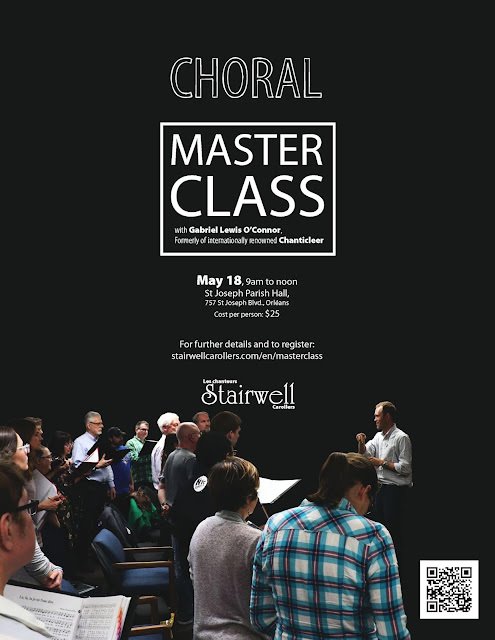 A thrilling event coming up in the spring besides Stairwell Caroller concerts is John Rutter's visit to Ottawa. Our director, Pierre, has always had a soft spot for Rutter's work - thus, we have been singing Rutter's compositions and arrangements for many years now. Here is a Youtube playlist I made of some of the pieces the Stairwell Carollers have sung by the British master composer, John Rutter. YouTube - like everything has changed. There used to be an option on the playlist page to embed a playlist, but that seems to have disappeared in the change-up. If you found it please tell me in a comment below. They now have a tiny tutorial HERE to embed videos and playlists. I couldn't make it work, so I went to my old embeds to find a simpler path. Check out the code below, which is sized exactly like our playlist embedded above. Please comment below - I would love to hear of your success with my work-around. DONATE to support our 40th year events All Donations receive a charitable receipt.